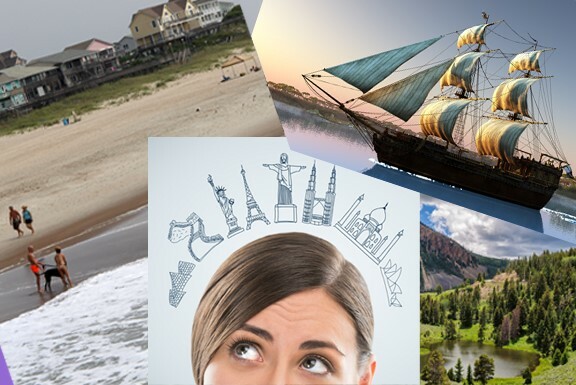 It’s almost officially summer, although after Memorial Day weekend arrives and now, with July 4th on the horizon, it might as well be full-blown vacation-time summer. A couple of months ago I started making vacation plans. I flipped through glossy booklets featuring cruises and checked the offerings on websites. I reviewed deck plans, accommodations, route maps, ports of call, and prices. Keeping in mind that ultimately we might decide to vacation in-country, I ordered trip planning brochures for Yellowstone Park and the surrounding states. I read through the ‘things to do in [Name of State]’ and considered the options of airports, airfare, excursions and hotels. I surfed online investigating beach rentals in the Outer Banks. How many bedrooms did it have? How many baths? Oceanfront – that’s a must. I looked. I dreamed. I considered. I almost committed to an amazing cruise around the British Isles, but in the end – nothing. I walked away. The glossy pages of the tourist brochures are already dusty and my inbox continues to fill with emails from the newsletter and information offers that I signed up for. The vacation investigation project wasn’t procrastination. I am a veteran procrastinator so I know all about that. What prevented me from making the leap of committing, of making reservations and writing a check, etc. was uncertainty about the future. There are different types of dreams. There are pie-in-the-sky dreams. There are also dreams with a reasonable possibility of achievement. And there are dreams that serve a purpose (i.e. to get away from reality for a little while, or dreams that are like a virtual B&B that you mentally run away to for a few hours). My vacation dreams are definitely of the do-able variety but I lack the certainty of what life in the near future will be. My mom needs extra attention right now. I’m struggling to balance the day job with my writing job and family needs. Sometimes you can put real-life on hold and just go, but it’s not that way for me right now. Do I regret spending time planning a trip I’m not taking? Do I wish I had the time back that I spent doing research? No, most definitely not. There’s a part of my brain that thrives in my imagination, and it’s enjoying that lovely cruise – at least the prospect of it. The memories created in chewing over of the facts, of envisioning the ship and the sights – are like a trip unto itself. Not as much fun as the real thing, but still something, and, in the end, I have to ask myself: what would be my greatest regret? That I didn’t take the trip? Or that I wasn’t here when my mom needed me? No question there. So, for now, instead of taking a dream vacation, I’ll continue dreaming. 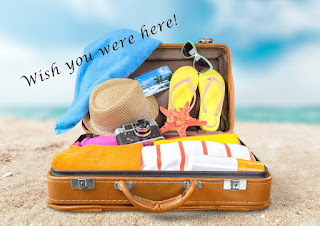 But don’t be surprised if one of my characters in an upcoming book takes a lovely cruise around the British Isles or spends a couple of weeks in an oceanfront house in the Outer Banks – after all, the research and planning is already done and, for a virtual dream of a trip, the packing is a breeze. Beautifully written, Grace. 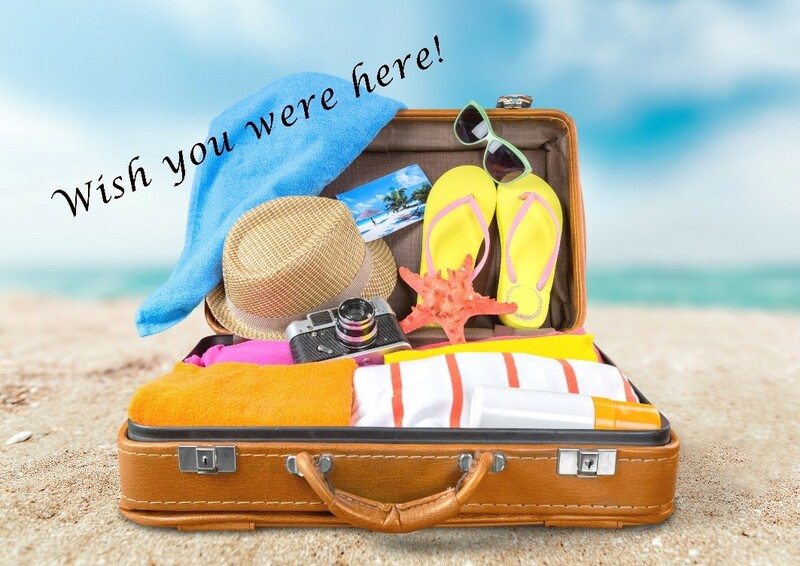 Those dreamed-only vacations are so important - sometimes, they are the only break or recharge we can get to help us keep going. As you said, much easier to pack for! And with my mother gone, now, my dream vacations are often of the time I spent with her - no cruise could ever replace that. Very well said. The trips will always be there. Family may not. You have to do whats right for you. For a much smaller body and mind renewal you can go to the local spa. Get a massage while listening to your favorite books or music. Your imagination can be your vacation for now. Thanks for stopping by, Lola. The massage is such a great idea! I also dream of that great vacation Grace, but family is always there first and finances too. So I too dream and look at my Travel Guides to states I want to visit and think maybe someday! I'm with you, Delene. Maybe someday. But the dreams are fun, aren't they? Beautiful post, Grace! Keep on dreaming and cherish the time spent with your mom. What's nice about reading a book is that I can travel a lot of places through the story. We are able to go on vacation, but I understand your sentiments. 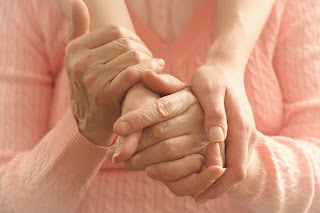 Both hubby and I have elderly parents who are managing in their own homes right now, but we are very aware that is not going to continue for long without a lot of help. Life will change for us soon. We're even planning to move house to be closer so we are there to help and give support. Very relatable post. I've been there and even now have to put off dream vacation ideas because of life's uncertainties. I'm so grateful for the Internet, TV, and books because I can at least get a secondhand thrill. And at least there's no packing and airplane anxiety involved. You also get to sleep in your own bed after virtual travel, right? I spend a lot of time exploring through the internet. Grace, it is a difficult time when you are caring for a loved one. We took care of my mother-in-law for a couple of years when her health was not good. Thankfully, we were able to take our planned cruise because my brother-in-law and my husband's aunt came to stay with my mother-in-law. I hope all goes well with your mother and that you get to take that cruise one day. I could very much relate to your post, Grace! When I didn't have the money to go skiing, the my heroine in my next book became a skiing teacher and went skiing all day long! I hope your mother will soon feel better! Hugs! Grace, my current dream vacation is a land tour of the British Isles! One of these days I'm going to make it, too. It's on my current bucket list. Grace, my dream is Egypt!! Unfortunately, my parents were stuck there during the uprising, so my husband is saying that I'll never travel there. :( It was a tense few weeks trying to get them out.